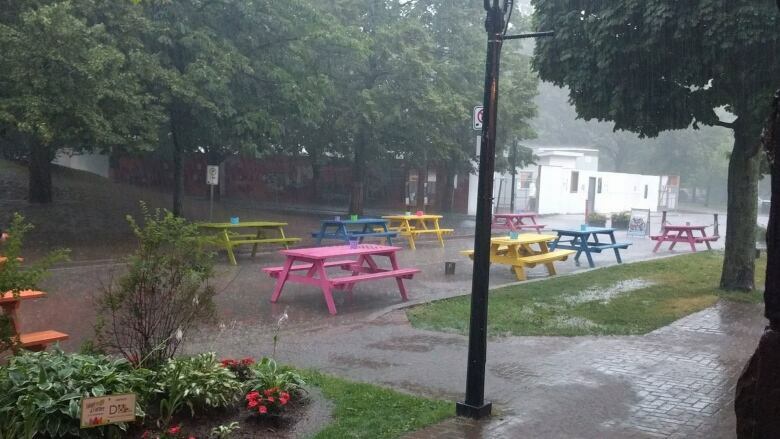 A number of bars and restaurants in downtown Charlottetown had to shut their doors Friday evening after a hail storm knocked out power across most of the city. Jenna Marie MacDonald, a server at Terre Rouge on Queen Street, said the restaurant lost power around 4:30 p.m. as heavy winds, rain and hail swept across the downtown area. Most of the restaurants along Queen Street and Victoria Row lost power for three to four hours, she said. She said after waiting for a couple hours with no idea when the power would come back on, staff had to shut down the restaurant for the night. "Our kitchen is an electric-base kitchen so they weren't able to prep for the evening," MacDonald said. "So we had to close." 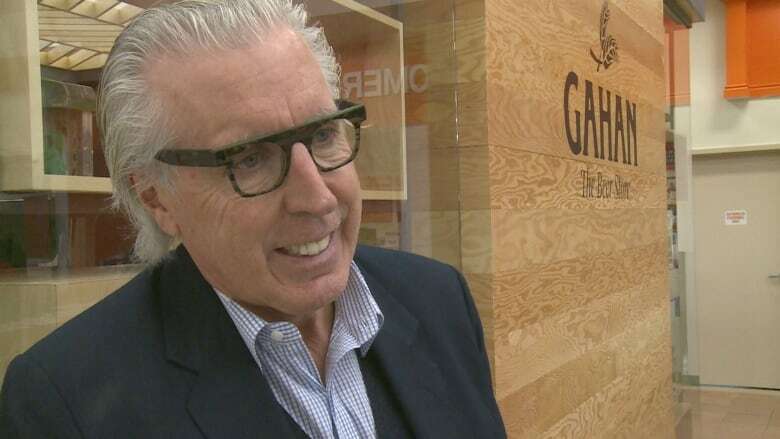 MacDonald said Friday nights are always busy, especially in August, and the restaurant had to cancel all of its reservations. Staff at Receiver Coffee Co. said their restaurant lost power around 5 p.m., meaning they couldn't process payments. They also had to close for the night. "It was really unfortunate, we did have a lot of reservations, our books were completely full for the evening," MacDonald said. "A lot of them did ask for recommendations on places to go instead but most of the kitchens in Charlottetown were also out of power so it just kind of left a lot of tourists in a pickle." Kevin Murphy, president and CEO of Murphy Hospitality Group, said the power outages affected all five of the company's downtown restaurants including Sims Corner Steakhouse & Oyster Bar, Gahan House and Fishbones Oyster Bar & Grill. "You probably couldn't have picked a more busier time to have that electrical storm and hail storm that we had in downtown Charlottetown around suppertime," Murphy said. He said staff at all five locations stayed on site waiting for power to come back on. Staff were in touch with Maritime Electric throughout the evening, he said, but weren't given a clear indication of how long the power would be out. "The big thing was that we lost a couple of hours of people that were looking to have dinner or had dinner reservations," Murphy said. "The reality is that it was an act of God that we had to deal with." 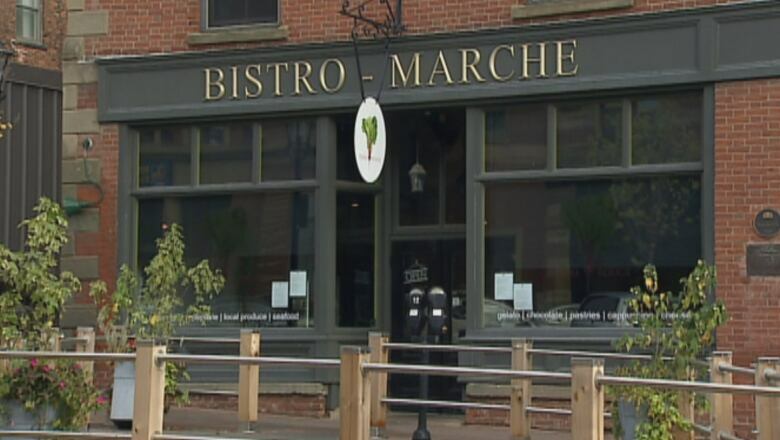 Murphy said all five restaurants were able to reopen around 8:30 p.m.
Kim Griffin, a spokesperson for Maritime Electric, said the power was out across most of downtown Charlottetown for three to four hours while crews responded to pole fires and repaired fallen lines. The vast majority of customers had power restored by 8:30 p.m., she said, but crews continued to work through the night responding to dozens of individual and smaller outages in the Charlottetown and Stratford areas.